It is March 21, and this date is synonymous with the birthday of one of the most important players in the history of the Club. 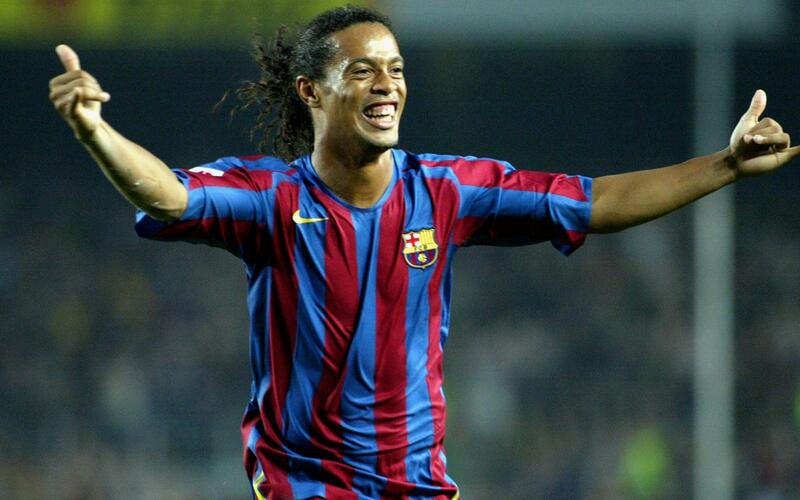 Ronaldo de Assis Moreira, better known as Ronaldinho, was born 38 years ago today. The Brazilian, who signed for Barça in the 2003/04 season, left his mark in Catalonia thanks to his virtuosity, his magic on the pitch and his goals. With 70 scored in the League, four in the Cup, 14 in the Champions League, four in the UEFA Cup, one in the Spanish Super Cup and one in the Club World Cup, Ronaldinho totalled 94 goals for the Blaugrana. During the five seasons that Ronaldinho wore the Barça shirt, the Brazilian played in 207 official matches. His record was one Champions League - the 2005/06 season -, two League titles and two Spanish Super Cups. In addition, he won a Ballon d’Or (2005) and two FIFA World Player awards (2004 and 2005). With a contagious smile, his time at Barça was immense. He is considered one of the architects of the Club's resurgence at the beginning of the 21st century and was a genius with the ball at his feet.